640x480, requires a workaround for higher resolutions. See Windowed. Start a game with an attribute: -window. Edit the resolution in line WinGetPos, 0, 0, 1280, 960, ahk_id %WindowID%. After you've changed the window size using the script, go to options and change the in-game resolution for the game's render to adjust to changes. 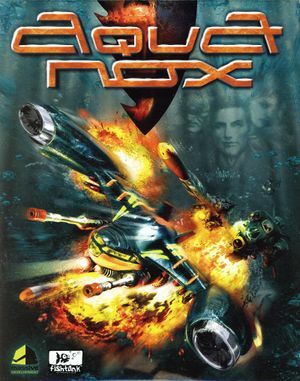 This game works well with Xbox 360 Controller. However actions can not be bound to Left and Right Triggers. Below are recommended settings for X360 and similar controllers. Recommended settings for X360 controller. Make sure to set Joystick: On under Joystick Section. Sliders for sound effects and music. CreativeLabs EAX 1 and EAX2. Lower mouse polling rate to 200Hz or lower. Lower DPI of a mouse to 200. This is a common problem with many mice. 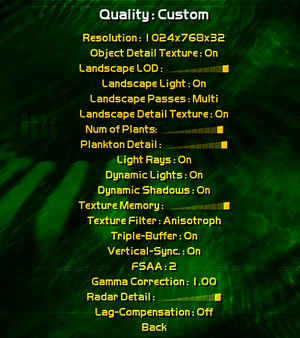 Disable lag compensation under graphical options. ↑ 2.0 2.1 File/folder structure within this directory reflects the path(s) listed for Windows and/or Steam game data (use Wine regedit to access Windows registry paths). Games with Steam Cloud support may store data in ~/.steam/steam/userdata/<user-id>/39630/ in addition to or instead of this directory. The app ID (39630) may differ in some cases. Treat backslashes as forward slashes. See the glossary page for details. This page was last edited on 7 April 2019, at 07:31.